“Swimmability” criteria consider approximately 45,000 kilometres of NZ’s 425,000 km of waterways. This is 10.5% ; and then only 80% of the time… so how does this become “90% of our rivers and lakes are swimmable by 2040” ? We urge the Government to work with Local Governments to provide access to long term sustainable funding to address infrastructure requirements of urban water issues. By 2026 Central Interceptor will reduce (not eliminate) sewage overflows by 80%. 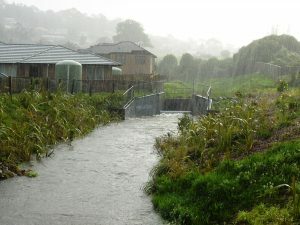 Watercare CEO states: “Continued reliance on the wastewater system for the collection and treatment of stormwater is not sustainable for a growing and liveable city.” Much of Mt Albert has no stormwater infrastructure and many parts of the city have combined sewage and stormwater into the same pipe. See also a NZ Geographic article on Auckland water: No Swimming and a submissions from EDS and NZFSS. 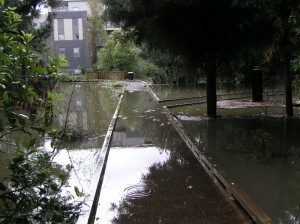 Up to 60% of the human adult body is water, and it is our roofs, concrete and roads which create runoff and stormwater.